In this photograph taken on July 31, 2018, visitors walk along the 150-meter long Cau Vang "Golden Bridge" in the Ba Na Hills near Danang, Vietnam. Nestled in the forested hills of central Vietnam, two giant concrete hands emerge from the trees, holding up a glimmering golden bridge crowded with gleeful visitors taking selfies at the country's latest eccentric tourist draw. 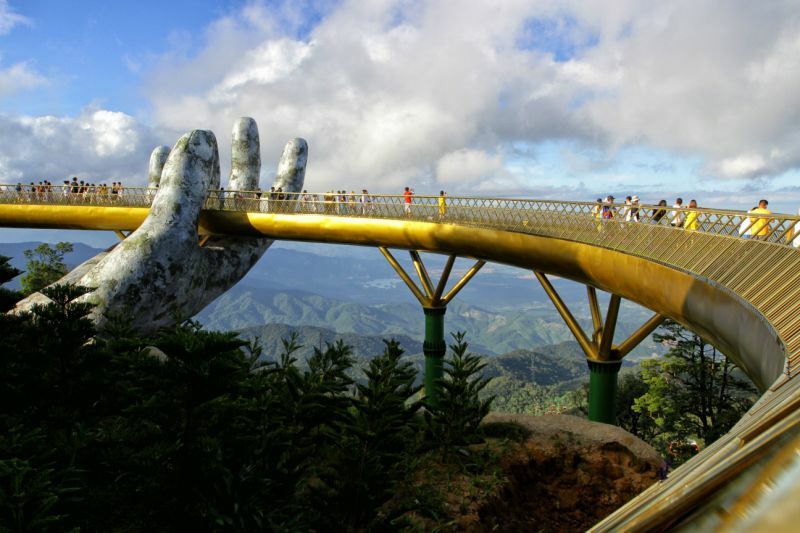 0 Response to "The New 'Golden Bridge' In Vietnam Is Hands-Down The Coolest Bridge Ever"